SOLVE is a statewide, 501(c)(3) nonprofit organization with a mission to bring Oregonians together to improve our environment and build a legacy of stewardship. We are dedicated to developing relationships among different groups, individuals, and businesses in pursuit of a common goal: to protect and preserve the places that make up our uniquely beautiful home. SOLVE mobilizes one of Oregon’s largest volunteer networks to clean up our beaches, parks, neighborhoods, and other natural spaces through litter cleanups, invasive plant removal, planting native trees and shrubs, and other environmental projects. We annually support nearly 30,000 volunteers in 900 projects throughout the state. Originally called S.O.L.V. (Stop Oregon Litter and Vandalism), SOLVE was founded by Governor Tom McCall and other community leaders in 1969 to address the need for community action in our ever-growing state. Friends of Nadaka Nature Park: Nadaka Nature Park is neighborhood park located on the border of Wilkes East and Rockwood neighborhoods in Gresham, Oregon. This hidden gem has 10 acres of natural forest and 2 acres with the City of Gresham's largest community garden, first nature based play area, and a picnic shelter for community gatherings. Our mission is to nurture nature, food, and families. We aim to create a place where people, especially children, can access healthy and nutritional food, can exercise to reduce obesity, can improve overall health outcomes, and can learn about food origins and the benefits of low-energy, low-input, local agriculture The park is open to all community members for free and provides a place for families and friends to gather, play, discover nature, and grow vegetables in the community garden. Friends of Nadaka host community events, volunteer opportunities, workshops, and nature walks for all ages. For more information visit our website at www.friendsofnadaka.org or join our Facebook Group- Friends of Nadaka, at https://www.facebook.com/groups/FriendsofNadaka/?ref=bookmarks ! Volunteers should wear closed toed shoes and long pants and bring a water bottle. All other materials will be provided. Note: Volunteers must be 14 years of age or older to attend without a parent/chaperone. 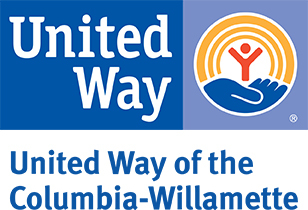 Stand Together Week is the Portland Timbers, Thorns FC, and T2 citywide volunteer initiative that brings the community together to support local nonprofit organizations. The week engages hundreds of supporters, including Timbers, Thorns FC, & T2 players, coaches, ambassadors and front office staff who work with various non-profits in the community. Since 2012, Stand Together Week participants have donated 15,371 hours of service at over 193 projects focused on benefitting youth and the environment. All volunteers under 18 are required to bring a Hands On Youth Waiver signed by their parent or legal guardian. (print it now, fill it out, and bring it with you to save time during project check in).